The U.S. is the land of the free until you break some silly law. With so much red tape and mystery surrounding the various laws and rules that aren’t overarching moral obligations, it can be easy to misstep. 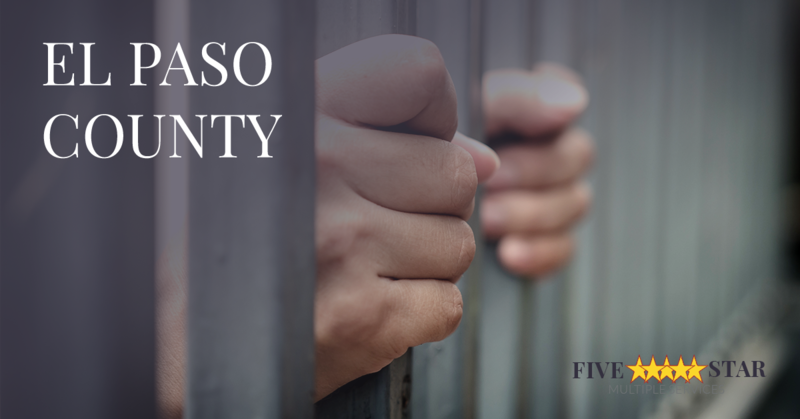 It’s not necessarily more easy to get arrested in El Paso County than it is elsewhere, but sometimes the worst scenario comes to fruition. In that situation, it’s effortless to feel helpless. It’s important to realize that you’re in control, though. Don’t crack under the stress, you’ve already found the easiest channel to helping you or your loved one get out of this pinch: bail bonds. Before you jump for just any bail bondsman in the El Paso County area. You’ll need to be wary. It’s not as if it’s an industry full of bad business ethics, but it’s important to get the right one as they’re going to be handling some of the most important aspects of your life for a fair amount of time. The arrest is the most stressful part of this entire ordeal. Handle that first. There’s an old saying that goes “How do you eat an elephant? One bite at a time.” That applies to the arrest and securing your bail bond. Organize the events into a step-by-step todo list. Get the arrest handled, secure the written ticket with all of the court details and any other paperwork you need, then turn your attention to finding the proper bail bondsmen for you. There were over 56,000 different crimes that ended in arrests across Colorado in 2015 alone, meaning there are a variety of bail bondsmen available in your area. When you’re browsing through google results with pages and pages full of different bail bondsmen how do you weed through the unworthy companies? In short, carefully. There’s quite a bit of critique surrounding the Google and Yelp review systems. Yelp actually makes people with good reviews pay for those to bubble to the top of your research results where those who have lower star scores are actually probably just not paying Yelp as much for their listing. Google, while it doesn’t make you pay for priority listings of your reviews, there are unreliable portions of its algorithm. For example, there is a school of thought that recommends that people only review a business when they’re unhappy with the treatment they’ve deserved and want to warn others against the business to ensure that the business has trouble getting more customers. However, with bail bonds, it’s a bit different. Five Star Multiple Services has received a variety of good reviews from people who are relieved at the amount of stress we’ve taken off of their plate by helping them secure a bail bond for their loved one. The other reviews that are important is the Better Business Bureau’s. While it’s mostly a platform for people who are looking for something to complain about, the BBB actually vets those critiques and contacts the business for a response. Some businesses don’t have a reputation management service working for them and won’t be able to control the Google reviews, which means the BBB rating is actually one of the more balanced areas to find reviews. If you don’t have the capital available to pay the bond, chances are you’ll need a surety company that can and will work with your financial situation in your favor. A good one will be able to provide you with the opportunity to pay your premium over time and will put everything in writing. They’ll be able to advise you on whether you’ll need to put up capital for the loan and what kind of capital you should put up. They’ll be able to provide all the paperwork saying they can work in your jurisdiction. If your loved one is still stuck in jail, you’re probably on a tight schedule to get them out. It’s not known for being a very pleasant place to stay, and if you’re prepared to pay to get them out, that should happen as quickly as possible. Five Star Multiple is one of the few bail bondsmen that can boast good relationships with the police departments in El Paso County and the ability to get our client’s out of the slammer, quickly and efficiently. With more favorable terms and quick negotiations, we’ve managed to set ourselves aside as the premier bail bondsmen in several portions of Colorado including Denver, Aurora and Brighton. While your loved one is locked away, you can’t be with them, and they certainly need you in this time of strife. Contact us now to get your bail bond secured and your loved one out of harm's way. We’re here to help in whatever you need, but we’re mainly here to secure your loved one’s freedom. Let us do our job.